Leading South African anti-apartheid activist Ahmed Kathrada, one of Nelson Mandela's closest colleagues in the long struggle against white rule, died early Tuesday aged 87, his eponymous charity foundation said. 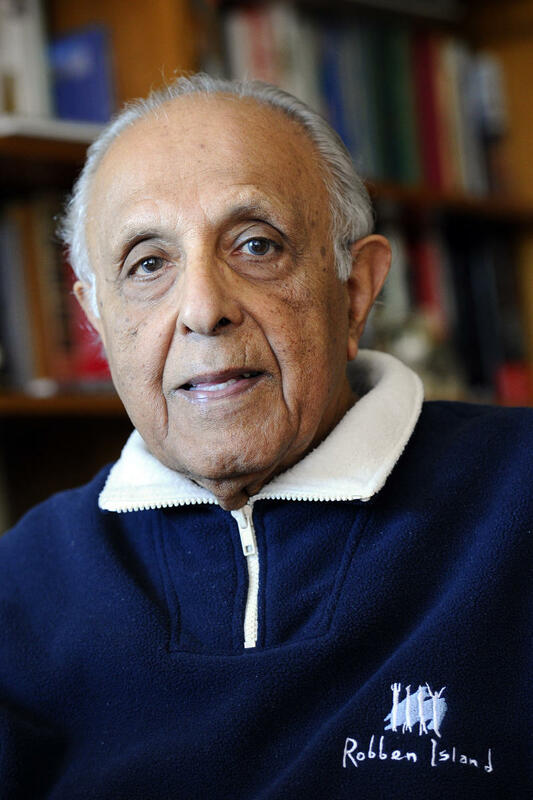 Kathrada was among those tried and jailed alongside Mandela in the Rivonia trial in 1964, which drew worldwide attention and highlighted the brutal legal system under the apartheid regime. He died in hospital in Johannesburg after a short illness following brain surgery. Kathrada spent 26 years and three months in prison, 18 of which were on Robben Island. "This is great loss to the ANC, the broader liberation movement and South Africa as a whole," Neeshan Balton, head of the Ahmed Kathrada Foundation, said in a statement. "'Kathy' was an inspiration to millions in different parts of the world." His activism against the white-minority apartheid regime started at the age of 17, when he was one of 2,000 "passive resisters" arrested in 1946 for defying a law that discriminated against Indian South Africans.